Our huge number of events across the year provide an ideal place to advertise to both a local and national audience. Through our huge number of events across the year, Benslow Music is the ideal place to advertise to both a local and national audience. We are delighted to work with colleagues including Howarth of London, the Early Music Shop, Bishop Instruments and Bows and Bridgewood and Neitzert, amongst others. 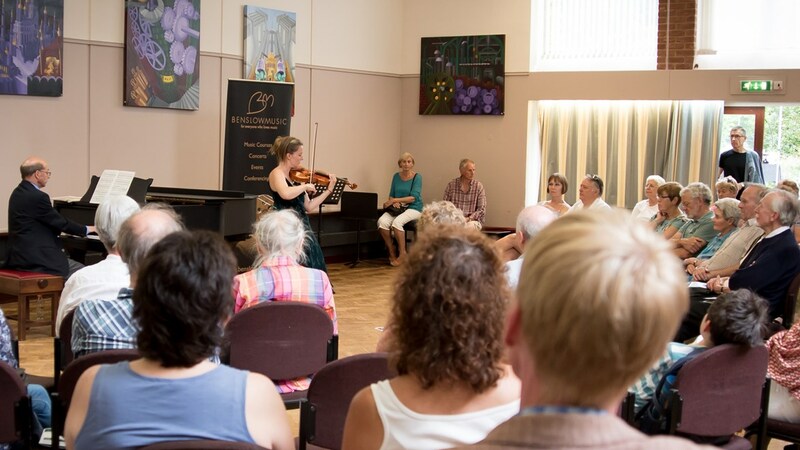 If you would like to sponsor a concert, a course or any other element of Benslow Music’s work either through donation, guarantee against loss or advertising in our course brochures or our concert programmes please let us know by calling 01462 459446 or by emailing us at info@benslowmusic.org.